Reliance Commercial Cleaning is the leader in Pinellas County for janitorial services, carpet cleaning, and hard floor care. 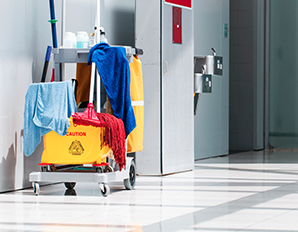 At Reliance Commercial Cleaning, we are a team of commercial cleaners who understand the importance of maintaining a clean and healthy environment for employees, customers and visitors. Serving Tampa Bay and Pinellas County, your company can fully rely on our commercial cleaning services. Providing your business with a clean work environment with excellent customer service is our goal. 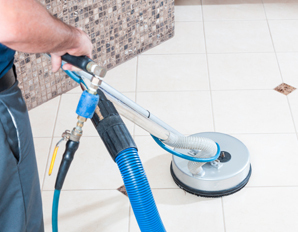 Our trained flooring professionals can provide your business with a custom floor care program. 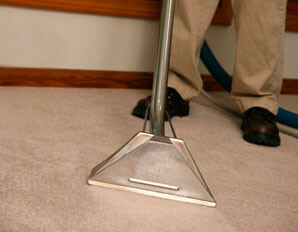 Our professionals care for your carpets to improve their appearance and prolong their lives. The McIntires were the cleaning staff for our radio station, WNSX - Star 97.7 for over 10 years. Our facility was always spotless after a visit from their crew, and we were always pleased with their attention to detail, professionalism and the flexibility. Our office looked sharp and clean, and that leads to great first impressions from clients. We have been using the McIntires to clean my offices for the past two years, and have always been completely satisfied. They do an excellent job, are always punctual, and offer the most competitive rates in town. They have been very reasonably priced, and have done exactly what we've asked of them and more. I'm happy to recommend their services. We found the employees dependable and thorough. Any issues were handled by the owners timely and professionally. Billing was accurate, consistent and received in an appropriate time frame. We had a very positive experience with them. This company helped the school by providing consistent detailed cleaning. Because they were so quick and thorough, it ended up saving the school a lot of money as well as aggravation. The school was also very clean and many folks noticed and commented.